Richmond Soap Studio. We sell 100% natural, handcrafted, vegan soaps with a Richmond twist. The Soap Of Northern Aggression. It’s a hit because of 1. the name, 2. the grits!, and 3. the awesome smell, reminiscent of a barbershop shave. We’ve been in business since 2009. People may be surprised that we do custom soaps. 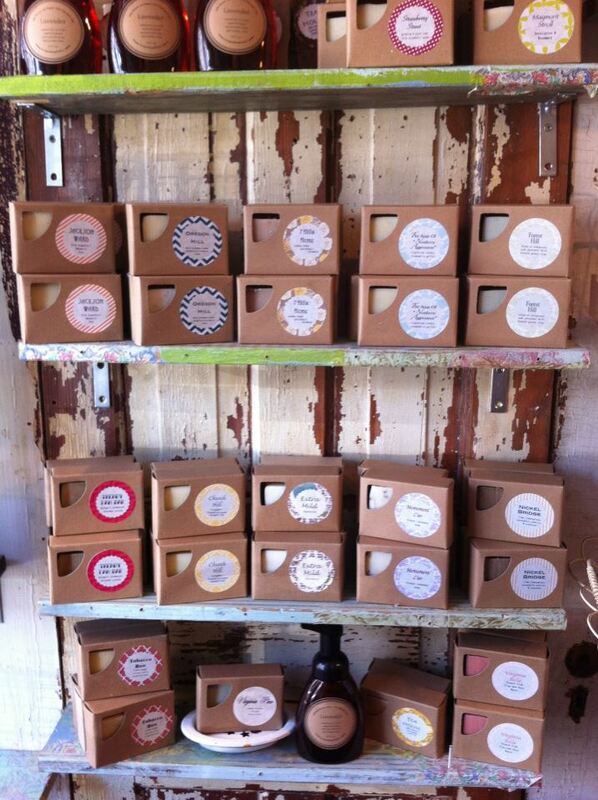 We’ve made specialty soaps for bridal showers, retail promotions, and have even been in stores as far away as Sydney! Our Saturday is not as hectic as it might be for growers or bakers. Our soaps have to be cured for 4-6 weeks prior to selling them. So, we have just a few preparations to make for the day of the market. The day is really fun and flies by! We enjoy talking ‘soap’ with both new customers and familiar faces. *And speaking of Mother’s Day, The South of the James Market will have it’s first ever Kid’s Corner THIS SATURDAY, just in time for the little people to make something for Mom or just occupy themselves while Mom stands in the Yoder’s Donut line. Look for it in that back left area of the market! Next Next post: Meet Your Artisan #3: Blanchard’s Coffee Co.